ALTOONA, Pa. -- Executives from Sheetz Convenience Stores are cheering recent changes to Pennsylvania liquor laws that will allow the retailer to sell beer and wine more readily in its stores in the state. Sheetz was one of several c-store and grocery retailers to receive liquor licenses in May thanks to Gov. 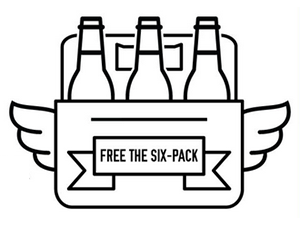 Tom Wolf's Free the Six-Pack campaign, his drive to allow the sale of up to 192 ounces of malt or brewed beverages in stores that also sell gasoline. Soon after, the state's liquor modernization bill—PA-HB 1690—was approved by the Pennsylvania Senate and House and signed by Wolf, making it legal to sell wine in convenience stores and changing the way liquor is sold in the state. "This bill is the most significant change to Pennsylvania in 80 years," said Ryan Sheetz, AVP of brand strategy. "We continue to show our support and gratitude to Gov. Wolf, the Senate and House leaders for advancing the issue and driving the change in beer reform in Pennsylvania. We are thrilled to be able to give our Pennsylvania customers the common right they deserve." The move will improve convenience for customers, Sheetz said, and is good for the state by potentially generating $150 million in new revenue for Pennsylvania. "We are excited to finally be able to give our customers what they have long been asking us to do: provide them with the convenience of a one-stop shop," said Sheetz. "This law was archaic and nonsensical. The goal for our entire operation is to give our customers what they want, how they want, when they want it, 24/7. Providing convenience to our customers is at the forefront of everything we do, and we are committed to this cause until the law is changed for the benefit of our Pennsylvania customers." Altoona, Pa.-based Sheetz has long been a driving voice of change regarding beer reform and has been committed to the movement by not only advancing the issue but also by responsibly selling beer in a few stores today by complying with all laws and regulations. Primarily, the chain began opening stores without gasoline pumps and treated other locations as stand-alone restaurants.